-Blue Wolf Travel is a full service tour operator with a wide range of services and tour offerings. The owner, Canat, has been a tour guide since 1994, and is fluent in English, Russian, Mongolian, and Kazakh. Some of his clients over the last 9 years are National Geographic magazine, Outside magazine, Patagonia, American Falconry, Atlanta, and UK International Falconry. Blue Wolf employs a small staff of guides, cooks, and drivers that are skilled at offering a safe, fun, and adventurous experience. They provide over a thousand guests annually with an safe, unforgettable trip without serious incident. 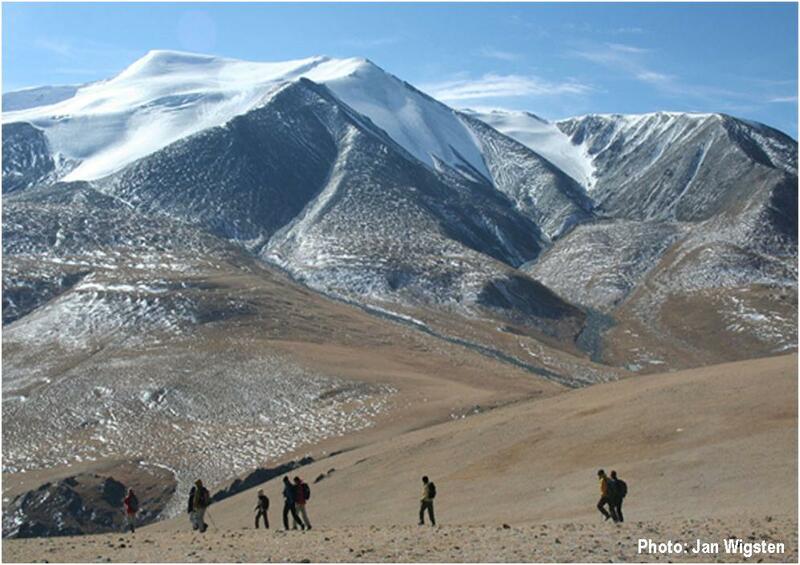 Blue Wolf aims to help to use tourism to bring economic and social development to western Mongolia and raise awareness of the unique natural and cultural resources of the area. To do this they work with local nomadic families to ensure they benefit from tourism and sponsors the Altai Nomad’s Festival in July and the Altai Kazakh Eagle Festival in September to highlight Kazakh eagle hunting skills, local cultures through performances, handcrafts, concerts, horse games, archery on horseback, horse- and camel-racing. They also aim to extend the travel season by providing tours in winter to watch wildlife, witness eagle hunting, ice fishing, and snow skiing. -Blue Wolf operates a ger camp and restaurant in Olgii (1 km south of Central Square, go right intersection for 100 m). 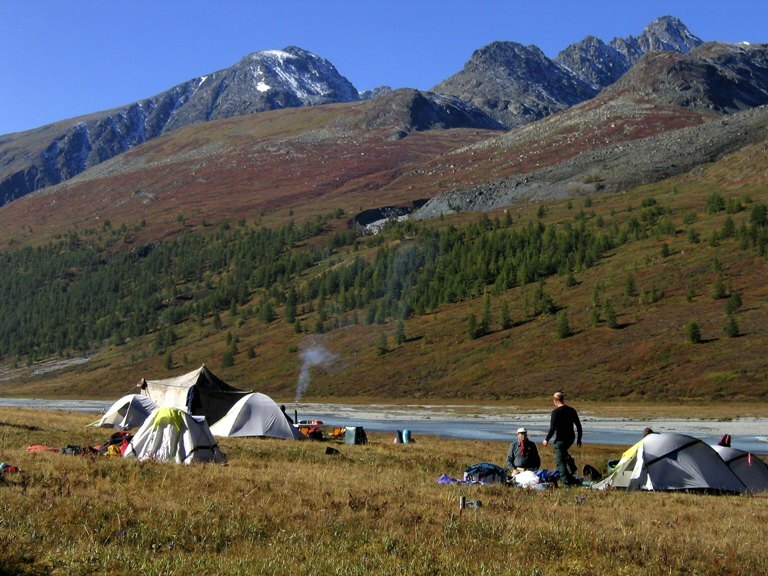 Another ger camp is located in Sagsai (25 km west of Olgii, site of Altai Kazakh Eagle Festival). Hot shower, laundry services, Wifi internet, bar and restaurant at both. Restaurant serves Kazakh, Mongolian, and International food, and can accommodate vegetarians. 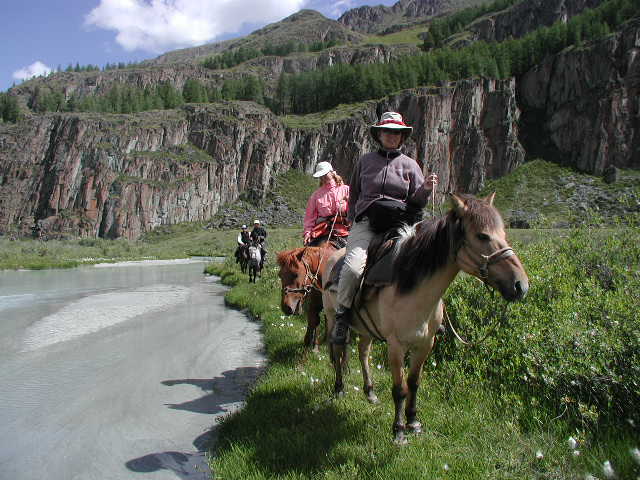 -Tours in Chinese, Kazakhstani, and Russian Altai, and all parts of Mongolia. -Offers personal customized tours, fixed dates tours, and unguided tour packages. -Can assist with visa, hotel, train and plane ticketing. Had a terrible time with Blue Wolf Travels. I found them to be completely unreliable, unprofessional, disorganized and untrustworthy. I would NOT recommend this organization — Mongolia is such a lovely and beautiful country and travelers should not allow a careless and amateur travel company (like Blue Wolf Travels) to ruin the experience. By all means, people should visit Mongolia but only with a reputable travel parter! Can you mention some specific incidents which convinced you to write your review about this tour operator? I completely agree! Mongolia is great, but I would not recommend Blue Wolf Travel to anyone, especially those who expect previously agreed upon plans with the company to be properly (or even close to properly) executed. I am a flexible person and don’t expect perfection when planning trips, but I was tricked and wasted both my money and my time. If you’re looking to book any tours in Mongolia, including eagle hunting tours, I would recommend Golden Gobi (www.goldengobi.com). They were recommended to us by other travelers we met so we decided to use them for a trip in Ulaanbatar after visiting Ulgii–they were great! My boyfriend and I contacted Blue Wolf Travel in January to inquire about booking an eagle hunting trip in May, which is off season. Canat, the owner, assured us that even if May is typically off season, he could coordinate with an eagle hunter to give us a true eagle hunting experience. He sent us an itinerary that stated that we would be eagle hunting every day for 6 days. This sounded promising so, we booked. Two weeks before our visit, we contacted Canat again to confirm that everything was ready to go for our trip and he said they were ready for us. They weren’t. Out of the 6 days, we only went hunting for a couple of hours on the 2nd day. We saw a hare running up the mountain, but the hunter didn’t take the hood off the eagle. When we asked our tour guide why that was, she said that eagles don’t hunt upward. Ok, sure, we had no idea how eagles hunt. Then, we see a second hare and this time, it was running down the mountain! Again, no attempt to hunt. Our guide told us maybe the eagle isn’t hungry. That was a bit odd to us because this eagle was apparently prepped to hunt in the summer. When we returned to the family’s home, our guide told us the eagle hunter had other things to do the next day, so we wouldn’t hunt. When we asked about the next eagle hunting trip, she said we would go on day 4. When day 4 came around, there was no eagle hunting planned, so we asked when we will be going again. She all of a sudden pretended as if she couldn’t understand our question and abruptly walked away to make a phone call. This is when we started feeling that something was going on…About 10 minutes later, she told us that she will ask if we can go the next day, but maybe the eagle cannot fly because it had already lost its feathers and was too fat. With no surprise, our guide tells us there will be no eagle hunting on Day 5 or 6 because indeed, the eagle had lost its feathers and is already too fat to fly. It was double the weight an eagle ready to hunt should be, which meant, this eagle was never going to hunt while we were there and that 2nd day we went, it was all for show. We were tricked. Another thing that bothered me, was that during the second half of the trip, our guide was often away on her phone, leaving us with no translator. She also filled our time by disguising trips (that she herself needed/wanted to go on), as fun day trips she planned for us. For example, she told us a family was moving their stuff across a river and took us to watch. While we were there, we learned that she was friends with this family from previous tours. She did not translate anything for us, and when we’d ask questions, she would give us very short answers and continue to converse with the family. It seemed that there were no prior arrangements to be made for our trip and everything was being played by ear. When we returned to the Blue Wolf camp, we explained to Canat, the owner, that we only went eagle hunting for a few hours. He admitted all fault and apologized. He blamed the eagle hunter for not preparing an eagle as promised and the guide for not telling him that the eagle couldn’t fly when she found out, which was apparently on Monday! That means, the entire week, when she was telling us that she would see if we could still go, she knew that it was not possible. Canat offered us a minimal refund amount and when we said we wouldn’t be happy about that because the purpose of our entire trip to the country was to go eagle hunting and we wouldn’t have chosen the destination if he didn’t promise us that an eagle hunting trip was possible. He understood and said that he would need a few days to come back with us with a more appropriate refund amount. He seemed very apologetic and genuine. When we contacted him after out trip for an update, he said that they didn’t do anything wrong and we still got a trip with an eagle hunting family, so he wouldn’t give us a larger refund like he made us believe he would. Before our trip, I read a previous review that said that with Canat, “words are like wind”. It was true. It seemed that when we met with him, he was just saying what we wanted to hear because he knew that once we left, we couldn’t do anything about it. Again, I highly advise that you do not book with Blue Wolf Travel. Read all the other bad reviews and take them seriously because you will not get what you want with this company and it will be a waste of your money and time. I was in Olgii with Blue Wolf in September 2015 and totally disagree with the comment of Pixie. Every member of staff were helpful, professional, totally organised and totally trustworthy. They not only planned an amazing time for me and my colleagues visiting Kazakh families and the Eagle Festival in September but when difficulties arose with flights they did all that was possible to assist us to complete out journey on time. I would unreservedly recommend them. The opportunity to join a photography trip to stay with the Kazakh eagle hunters in Bayan Olgii in Mongolia was the trip of a lifetime for me. In September 2015, my wife and I were privileged to be able to join a small group of photographers, including former AIWC member Mary O’Connor, and travel to Olgii in western Mongolia where we stayed for several days with two families of Kazakh eagle hunters. The region of Bayan Olgii in the North-western corner of Mongolia is predominantly ethnic Kazakh (indeed many people moved from here to Kazakhstan in the early 1990s), and many of them still live their traditional lives in yurts (gers) and “winter huts”, sometimes moving their herds of cattle, goats, sheep, and horses hundreds of miles from summer to winter feeding areas. Along the way, many of the men continue to hunt with their golden eagles. There are also a very small number of girls and women who hunt with their eagles. Indeed, we were able to stay one night with the family of the youngest female eagle hunter, who is only 14 years old but is already very famous (if you do an internet search, you will undoubtedly find many photos of her). Her name is Ashol-Pan, the only teenage female eagle hunter in Mongolia. She became famous when photographs, taken by the Asher Svidensky, went viral on social media. We had the privilege of meeting her family, sleep in her parents’ home and Dolores was even given a lesson in milking cows by Almagul, the very cheerful and hardworking mother of Alshol-Pan who was at boarding school with her sisters. For two days we travelled by horseback to try some hunting with the eagle hunters. Then for another two days we attended a festival of eagle hunter games, where the hunters and their eagles showed off their skills in competition against each other. The events included eagle hunting skills as well as Buzkashi (which in this part of Mongolia is not a team event like the Kokpar here Kazakhstan but is rather a 1:1 tug-of-war), “kiss chase”, and even camel racing. Dolores particularly enjoyed the camel races, almost being run over by a pair of completing camels at one point. Without a doubt though her favourite activity was shopping and negotiating for embroidered Tuskiis (traditional embroideries done by the Kazakh women for decorating their homes) and other items in the outdoor market. She became so well known amongst the market sellers, that they recognised her in the streets of Olgii a few days later! For me however the most memorable events involved the eagles. It was amazing the watch the skills of these hunters and their birds and impressive to see these birds flying. Coming from the west coast of Canada, I am no stranger to eagles, but this was a whole new experience for me to be so close to these magnificent birds. I hope the photos provide a sense of the elegance of the hunters and the power and beauty of their eagles. Please note that this trip was, at times, arduous and conditions can be very basic; we slept together cosily with the families and other travellers, we went several days without showers, used very rudimentary outdoor toilets and were transported in the ubiquitous UAZ (УАЗ) van over very rough terrain – some nights brushing teeth was optional! We went in mid-September which can be cold, but exposure to sun is intense, but eagles can only hunt when the weather is cold. Being outdoors and exposed to the elements was a part of it we enjoyed, it was part of the adventure. We very much appreciated the opportunity to sleep in the same yurts our host families did, share their food and tea, having dusty hair, gritty teeth and being exposed to the elements gave us a real appreciate for the resilience and spirit of the people we met. Flights: We travelled to Olgii return from Almaty on three flights; first leg was on Air Astana to Bishkek, then from Biskek to Ulaanbaatar on Turkish Airlines and then on Aero Mongolia from Ulaanbaator to Ölgii. Our return flight from Ölgii to Ulaanbaatar was delayed a whole day, these types of delays are to be expected in these smaller airports. 30 minutes to the Chinggis Khaan International Airport when there is no traffic! While we were touring we slept all together in the same yurts/gers and homes as the families.